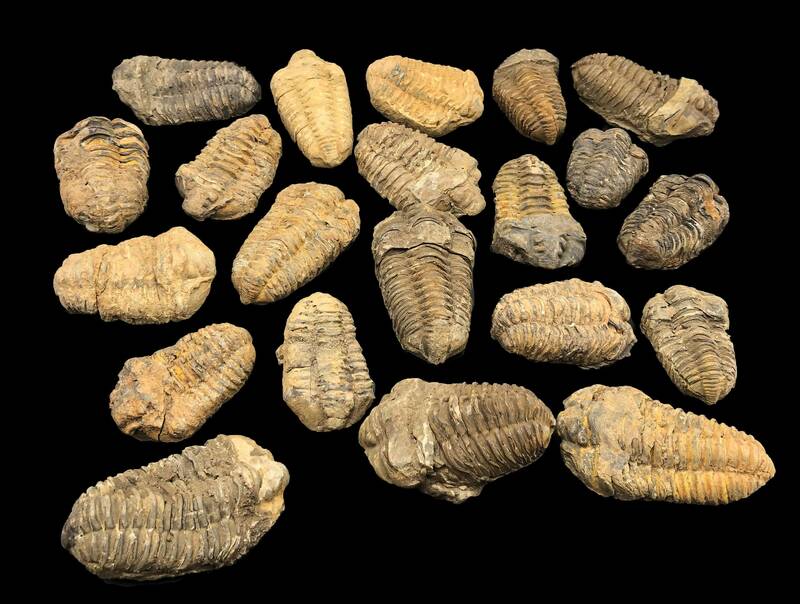 10 Trilobite fossils from the Atlas Mountain region of Morocco. These fossils typically have some sort of repair on them as they can easily be broken during extraction. This type of mud bug, roamed the ocean floors during the Upper Ordovician period. Great beginners fossil or for that hand's on educational lesson. Don't need 25 Calymene Trilobite Fossils? Check out our other listings for different sizes of Trilobites. We have Ammonites, Trilobites, Brachiopods, Megalodon Teeth and more! 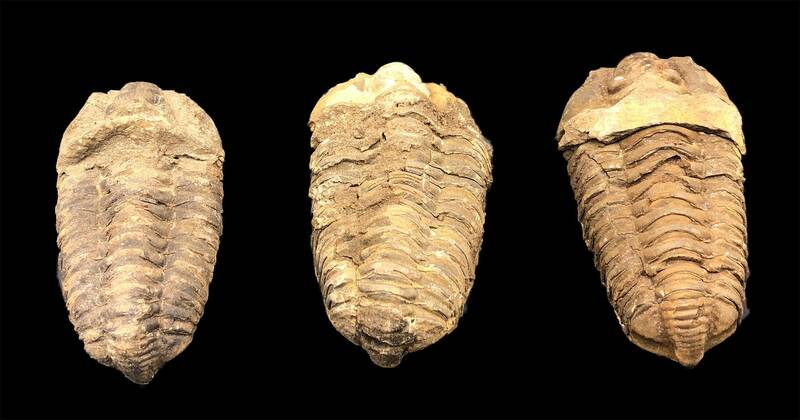 Trilobites ( /ˈtraɪləˌbaɪt, ˈtrɪ-, -loʊ-/; meaning "three lobes") are a fossil group of extinct marine arachnomorph arthropods that form the class Trilobita. 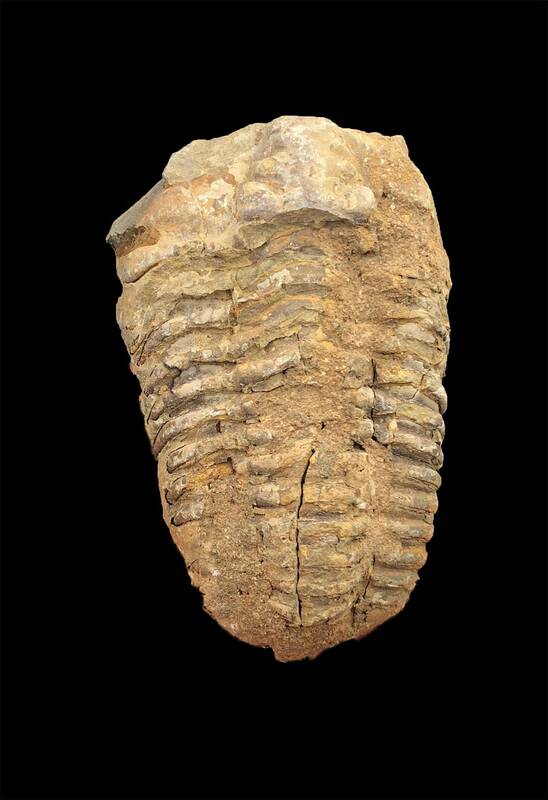 Trilobites form one of the earliest-known groups of arthropods. The first appearance of trilobites in the fossil record defines the base of the Atdabanian stage of the Early Cambrian period (521 million years ago), and they flourished throughout the lower Paleozoic era before beginning a drawn-out decline to extinction when, during the Devonian, all trilobite orders except the Proetids died out. 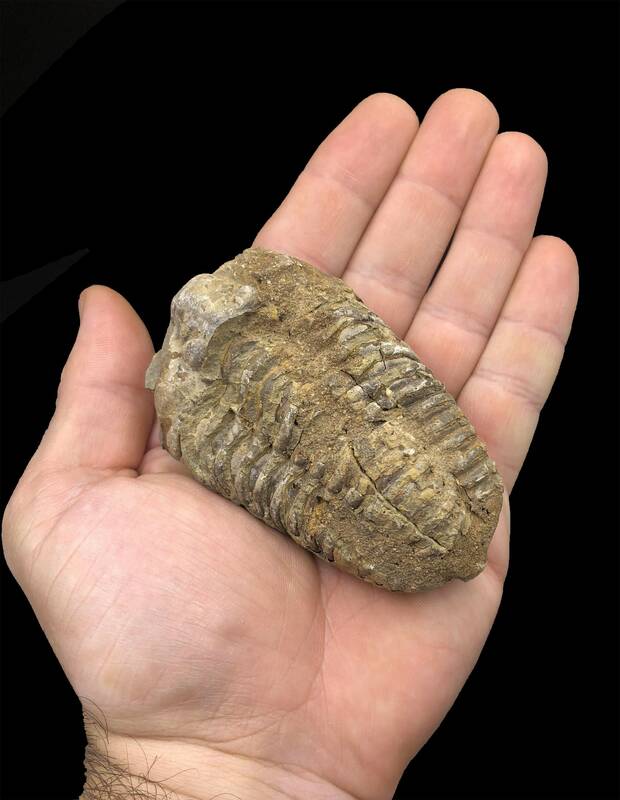 Trilobites disappeared in the mass extinction at the end of the Permian about 252 million years ago. The trilobites were among the most successful of all early animals, roaming the oceans for over 270 million years. By the time trilobites first appeared in the fossil record, they were already highly diversified and geographically dispersed. Because trilobites had wide diversity and an easily fossilized exoskeleton, they left an extensive fossil record, with some 17,000 known species spanning Paleozoic time. The study of these fossils has facilitated important contributions to biostratigraphy, paleontology, evolutionary biology, and plate tectonics. Trilobites are often placed within the arthropod subphylum Schizoramia within the superclass Arachnomorpha (equivalent to the Arachnata), although several alternative taxonomies are found in the literature.